What is it like being in front of the camera? Let me share something with you. 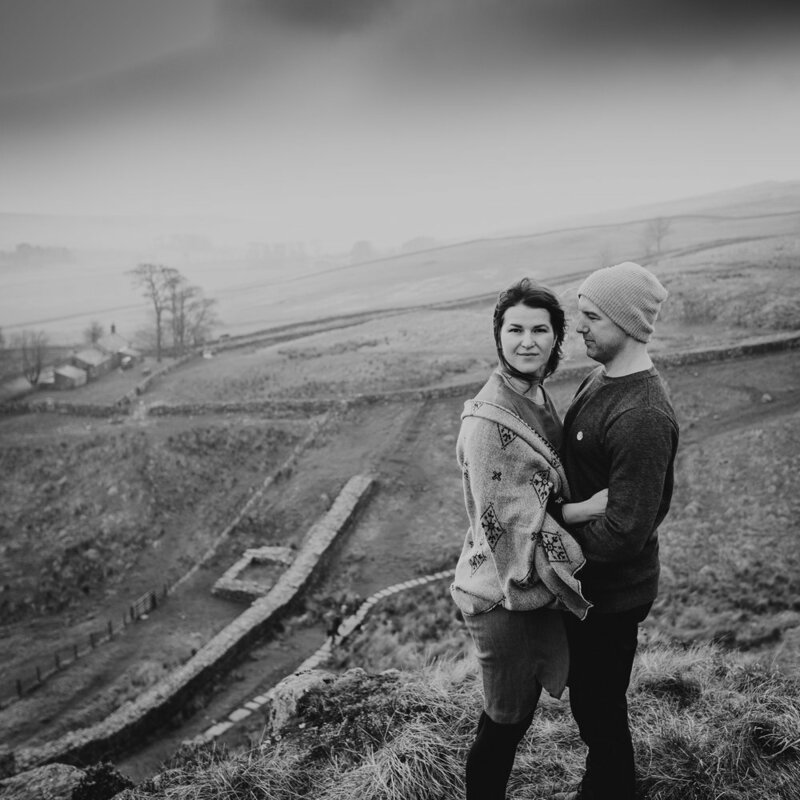 A few days ago, me, my fiancé Arran and a brilliant Northumberland photographer Gillian Haves from Unfurl Photography ventured to Steel Rigg on Hadrian's Wall for a couples photoshoot. 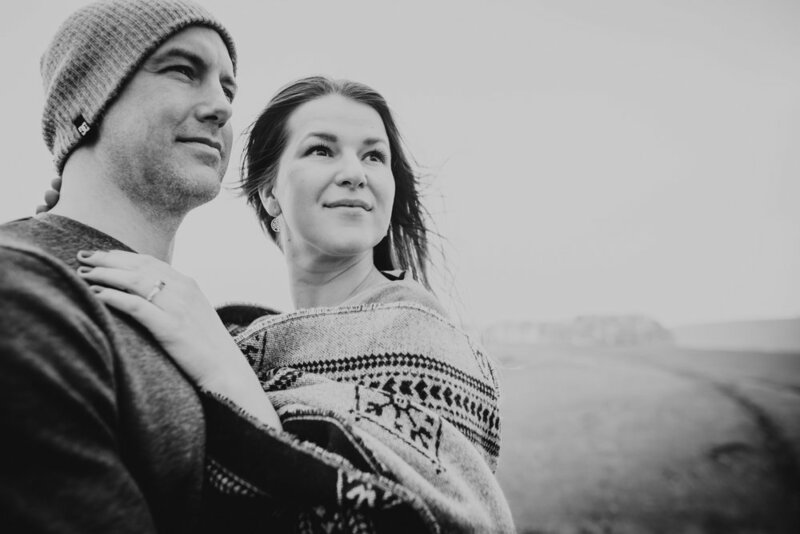 It resulted in a great collaboration between us - the couple - and her - the photographer. Not only will I share the snaps that we achieved, but I will tell you what it was like to be in front of the camera and to be photographed as a couple. To start with, it wasn't organised by the photographer we chose to shoot our upcoming wedding, therefore as such, it wasn't our pre-wedding shoot (even though our benefits are veeeeery similar as it turns out!). This was a shoot based on the idea that Gillian was looking to realize. She expressed it on her insta-story and I immediately fell for it! Somehow I managed to convince Arran and we signed up for it. 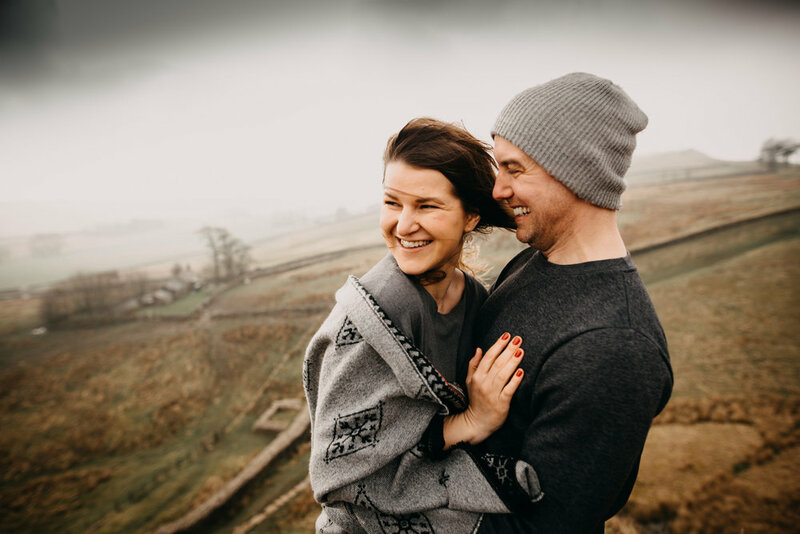 Gillian really wanted to shoot us up the Steel Rigg - a gorgeous setting in Northumberland National Park and it was ideal for us, as wild and adventurous is something we are familiar with! Once we agreed on the date and time and all was real, I started to panic! What do I wear, what will it be like, will I feel extremely awkward, what if we just freeze in front of a stranger and what if we hate the photographs we receive? What if we have a non-pleasant experience that will ruin our dreams of having amazing wedding photographs in the future? I know, I know, I don't sound like this when I talk to my couples when we organise their shoots - I sound very convincing, and, actually, I'm always pretty sure they'll enjoy the shoot for the experience, as well as for the images they'll receive and the benefits of learning/practising being in front of the camera! Easier said than done. Accept any guidance from your photographer - if you chose to be photographed by them, it will mean you like their style and you think they will capture you well - exactly! They will observe you during your meetings, they will notice little quirks between the two of you. If you never kiss or hold hands and aren't a very touchyfeely couple, your photographed will know it by now - body language is universal! At the same time, if you like to be embraced by your partner, do not be shy in front of the camera either! Your photographer will take those intimate snaps of the two of you like no-one else. Think, you will normally not smooch in front of your aunt when she's taking your picture as it is rather awkward. But when it's you and your partner and a photographer that is there to capture Your Story, just go for it!! 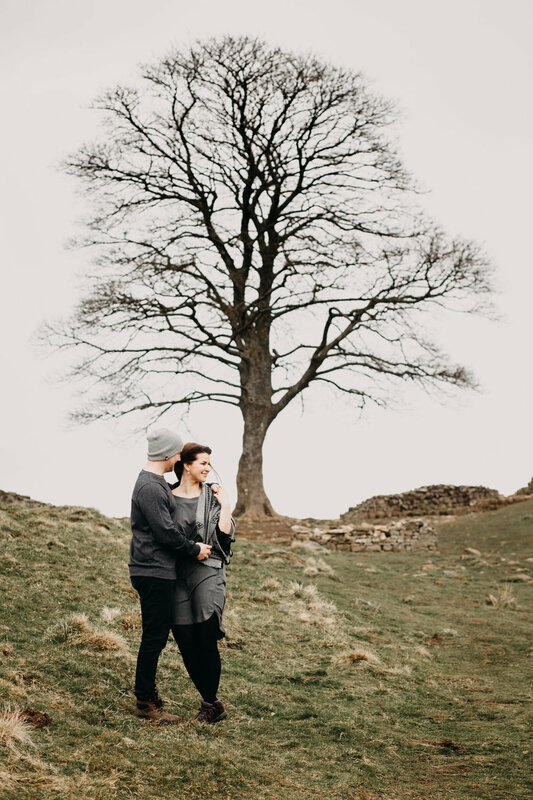 Choose the location that you love, or location idea that you love - let it be the city with a pub stop, or the dreamy beach, or whimsical woodland, or wild and adventurous Northumbrian landscape, hint hint! Think what sort of location will suit you best to achieve the results you want. 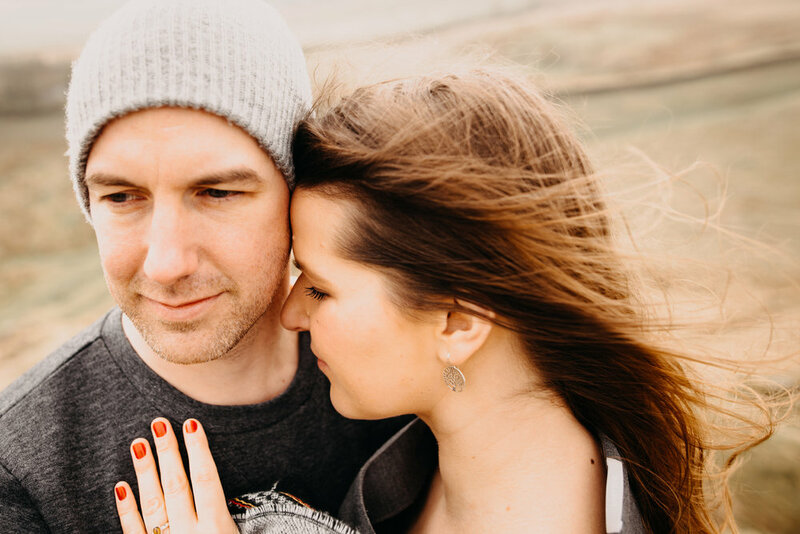 Also, if you're getting married in the city and love the beach but don't have time to pop to the seaside for the shoot on your Wedding day, use the pre-wedding shoot as an opportunity to do just that! Think about what you both will wear. Coordinate your outfits to suit each other and to suit the location. Don't be afraid to go a little braver with your make-up than you usually do. In our experience - we knew we needed to have sturdy boots on due to the location, but they did not necessarily mean I had to have my ordinary jeans on, so I opted for a dress and a massive patterned scarf that would flow in the wind but will also match the overall look we were going for; we both had grey/black clothing combo so I had my nails painted bright red for some contrast. And it looks like Gillian appreciated that, too, as our overall look matched her idea for the wild shoot! Up the Steel Rigg it was extremely windy and my beautifully styled hair did not benefit from it, but you know what, I let it go wild and didn't worry about it at all! Hope you enjoyed my write up about our experience, thanks to the extremely talented Gillian at Unfurl Photography - you must check her out!! P.S. I added more snaps from our shoot below.